Hope Thompson’s written Tijuana gastric sleeve review. 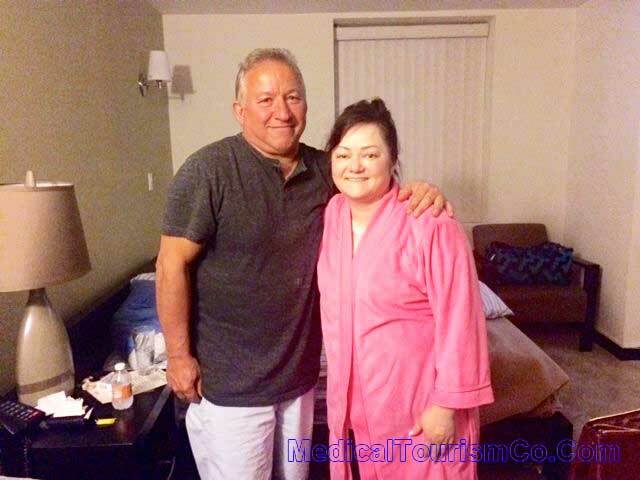 Hope had her gastric sleeve surgery in the Mexican border city which is only 20 minutes from the San Diego International Airport in California and has been a magnet for medical tourists seeking low cost bariatric surgery south of the border. 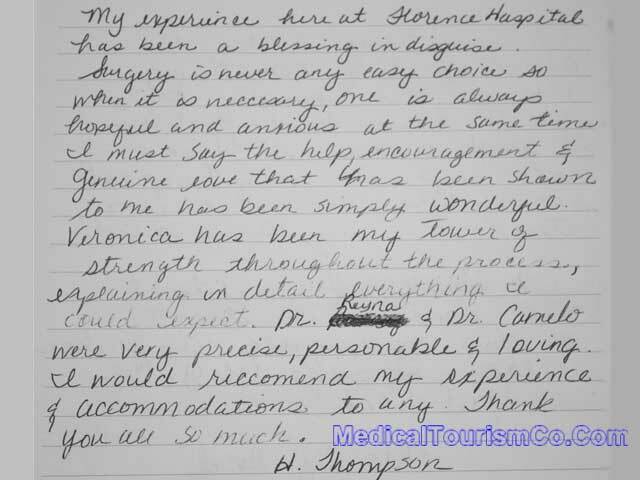 “My experience here at Florence Hospital has been a blessing in disguise. Surgery is never any easy choice. So when it is necessary, one is always hopeful and anxious at the same time. I must say the help, encouragement and genuine love that has shown to me has been simply wonderful. Veronica has been my tower of strength throughout the process explaining in detail everything I could expect. Dr. Reyna and Dr. Camelo were very precise, personable and loving. I would recommend my experiemce and accommodations to any. Thank you all so much. TJ’s strategic location makes it a suitable location for Americans looking to cut their medical expenses. The city is known for well-equipped surgery centers and hospitals that match and sometimes even supersede the level of care provided in American hospitals. And reviews for bariatric surgery in Mexico have been more or less positive. However, we advise you to do your due diligence and take an informed decision. For more information and testimonials on vertical gastric sleeve in Mexico, contact us via the quote-form on the right.